For individuals to receive a payment or reimbursement, they need to be setup in the UCSC payment system. Direct Deposit for payroll does NOT verify setup in the payment & reimbursement system. 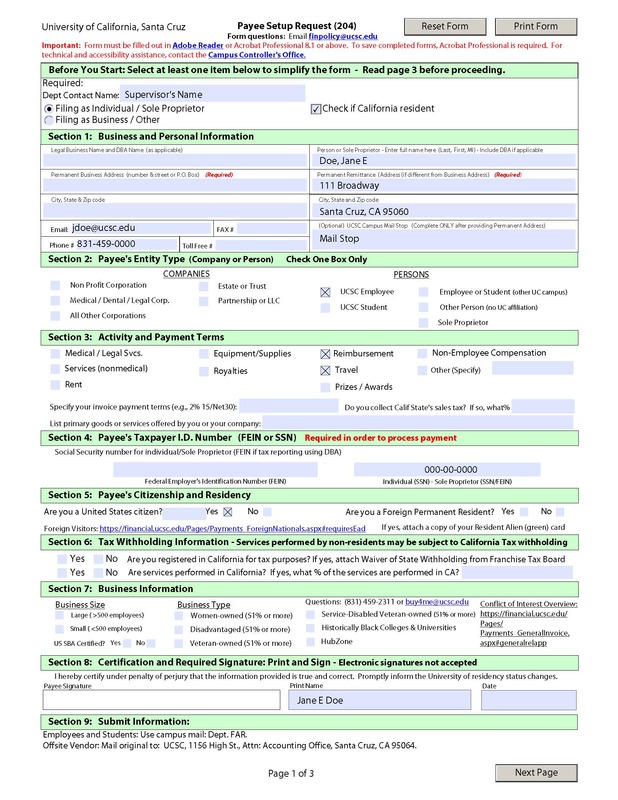 If you want a paper check for reimbursement, you only need to fill out page 1 of the Payee Setup 204 Form. 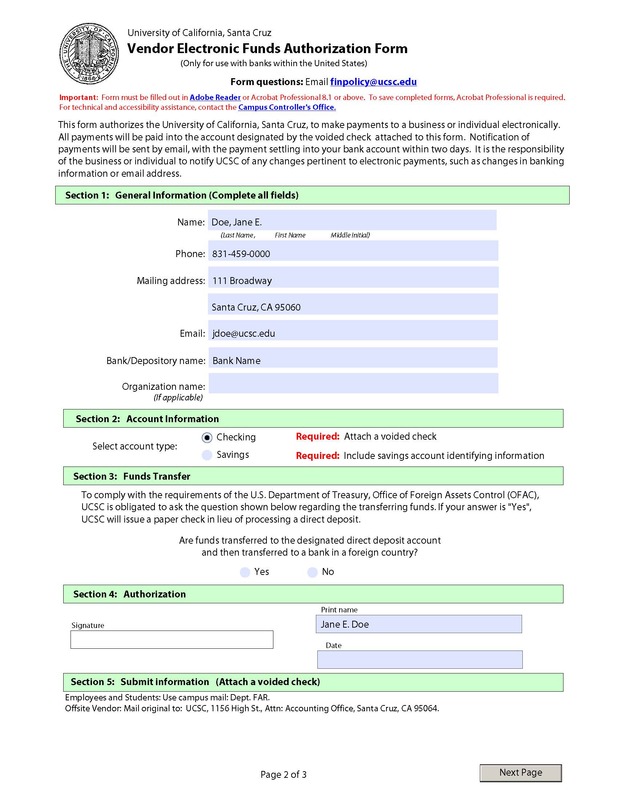 If you want reimbursement via direct deposit, you will need to fill out page 2 also and attach a voided check or bank statement identifying bank name, account number, and routing number. If a saving account, include bank name for savings account, routing number and account number. The completed form may be sent via intercampus mail to FAR, or bring it by our office, and we will submit it for you. Direct Deposit for payroll does NOT verify setup in the payment & reimbursement system.